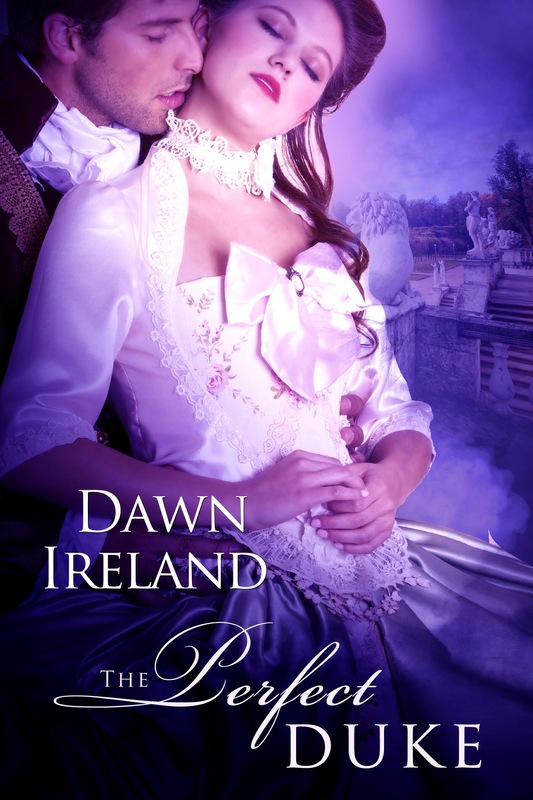 Thursday Threads welcomes Dawn Ireland! Welcome to the BTS and Soul Mate Publishing Blog hop! Enter to win a free e-copy of my book, The Marker, and a sneak peak into my latest release, Highland Deception. Follow the links to find out more! When Kenneth Mackay, long-banished rogue and thief, returns to the Mackay holding at the request of his brother, he has no idea what he might find. He certainly doesn’t expect to be confronted with his twin’s imminent death, or wtih the plan his brother has concocted. Ten years before, Malcolm made a tragic mistake, and, to preserve the family name–and his own skin–he allowed Kenneth to take the fall. Now that he is dying without an heir, Malcolm plans to atone for his mistake: by giving Kenneth his life back. All Kenneth has to do is assume his brother’s identity. But complicating matters is the unexpected return of Lady Isobel Mackay, the daughter of an English marquess and the wife Malcolm didn’t want. Isobel barely knows the husband who abandoned her even before their marriage began, and she’d long since given up on having a real marriage with him. Yet when she returns to the Mackay holding far earlier than expected, she finds her husband a changed man. Despite the hurt between them, Isobel’s heart responds to this man who cares for his entire clan as if there wre family. Who, for the first time, cares for her as if she is, too. Falling in love with her husband had never been part of Isobel’s plan. But when their future is suddenly in peril, Isobel must find a way to save him–from himself and from the deception threatening to tear them apart. Click on the link below to find out more about the blog hop! And leave a comment here for your chance to win! Last weekend, my very old, quite senile Jack Russell terrier died. While we didn’t expect it this way, she went out the way she lived…as a bad dog. In any case, we still have Big Dog Frank. He’s enough to fill a room. But…but…Frank was lonely. And the house was a little empty. 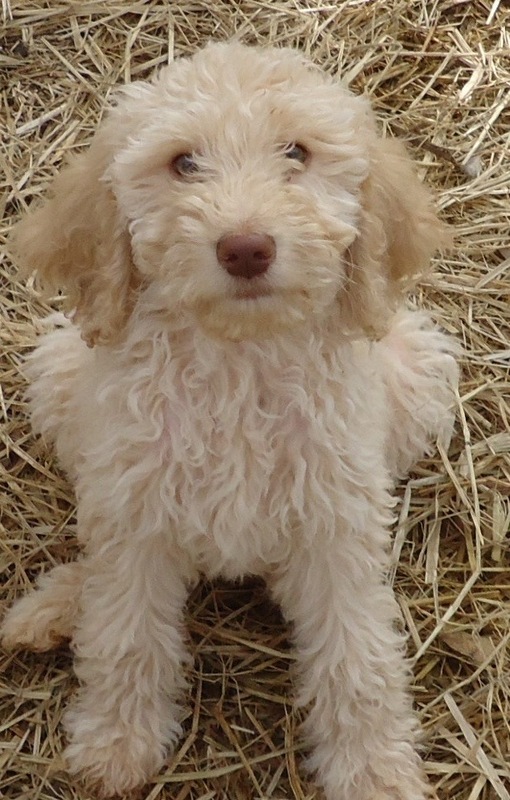 And… I wanted a second dog before Frank became a crotchety old man. He’ll be eight in April, so he’s getting close. Perhaps I should have resisted, but I didn’t. So, without further ado, meet my furry addition: Vanilla Bean AKA Nilla. I’m a romance writer, so I love the idea of Valentine’s Day. The practice of it, meh. Valentine’s Day tends to center around love and food and romantic presents. Food is hard for me unless I cook it, and romantic presents tend to cost money (and grand, sweeping gestures tend to take time we don’t have). The love part, though…That I can do. He gave it to me while nervously shifting his weight and only occasionally looking at my face. It was cute and sweet and, in its own way, hopelessly romantic. Those first years together, he went all out. Romantic dinners we couldn’t afford, big presents–you know, all the things the commercials promoting Valentine’s Day tell me I should want. But I don’t care about all that stuff anymore. Oh, sure, I love big presents, and adore romantic gestures. But I didn’t marry a romance writer, I married a cop. Luckily for him, he did marry a romance writer, and I can see the love in the every day things he does. There is love in the fact that he will get up in the middle of the night to let my aging, demented dog outside, because he knows I won’t go back to sleep if I have to turn on the lights. There’s love in the fact that he’ll cook tacos on days that I work late, because I like them. And last night, he did the dishes, even though I told him I’d do them in the morning. I can see the love when he will go to sleep with the lights on, just so I can finish up edits. He doesn’t even complain, despite the late hour (it’s generally around one in the morning by the time I finish, and yes, we both will get up early and go to day jobs). But he will just lay down next to me and go to sleep, with his hand on my hip. When he’s gone, and his side of the bed is empty, I can’t sleep, and I know, wherever he is, he can’t either. There’s romance in that, too. And when I’m sick, he’ll stay home and take care of me. When it’s really bad, he rarely even leaves the room. He’ll just grab a computer and hang with me, and he won’t complain about that either. So those are the romantic gestures I treasure. I don’t recall every fancy meal we ever ate (though some of them are quite memorable), but I do remember the little things he does to show me he loves me. Look out! It’s time for another blog post for Romance Weekly, where we answer questions posed by other writers and then link to one another. Follow the loop all the way around to meet some new-to-you authors! 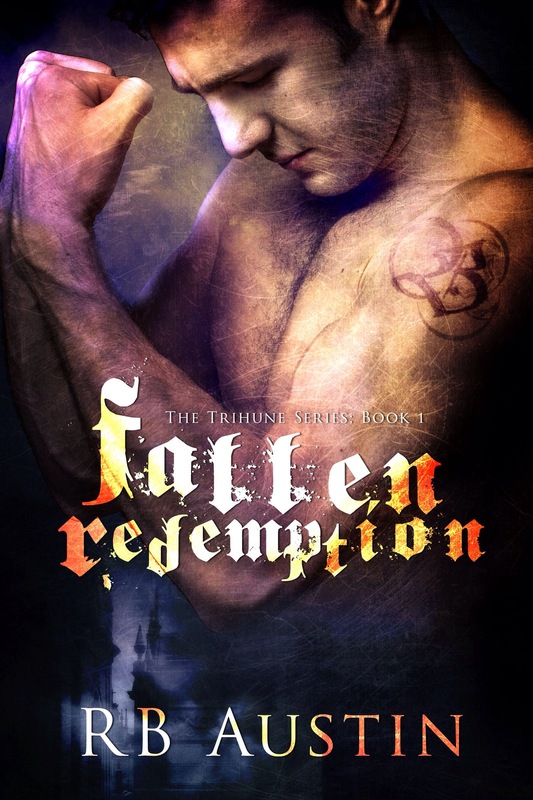 Today I’m linking to Dani Jace! 1. Do you have a favourite character from any of your books? I suppose that my characters and my books are supposed to be like children, and you’re not supposed to have a favorite. Actually, I think my books are like my children–my favorite changes from day to day. Just like on some days, tiny daughter is my favorite kid and other days, my squirrelly son is the favorite. I guess it depends on who last barfed on my bed (they’re like cats, those two). Right now, I’m sort of between favorites. 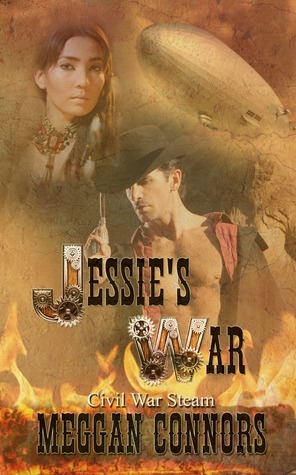 Overall, I suppose I still am rather partial to Luke Bradshaw, my hero in Jessie’s War. Gah, I loved him so much it was crazy. He and Jessie made me cry. But I just got finished with edits on Highland Deception, and I forget sometimes how much I love Kenneth (I suppose I’m partial to my guys). Kenneth is at the kind of guy you want to have around: strong, controlled, capable. Quiet and contemplative, but not in a Mr. Darcy kind of way. He was nicer than that. Less broody, too, I suppose, despite his predicament. I guess I’m not into the hotheaded, impetuous alpha male. I like my heroes more thoughtful. I don’t want–and never did–the guy who will get so angry he’ll punch a wall. I want the guy who–even if he’s super angry and wants to punch a wall–can control himself. 2. If you were him/her what would you have done differently in their situation? I’m not sure. If I were Luke, I’d tell Jessie that I was sorry at the start. I would have told her that I had always loved her, and then hoped she could forgive me. You know, instead of being obstinate about it. I don’t really blame him for how he chose to handle it, but Jessie sure would have been a lot more receptive if he’d just been open about things. If I were Kenneth? I’m not sure. His situation was messed up from the start. He tried to make things right from the very beginning. He tried to do his duty to his clan and to Isobel, even though things were difficult between them from the first moment they laid eyes on one another. It wasn’t his fault, and it wasn’t hers, either. But it was difficult between them for a very long time. 3. Do you believe in the traditional HEA or do you think sometimes characters don’t need (or maybe deserve) them? I write traditional HEAs. While I often read books that don’t have a traditional HEA, I guess I fall so in love with my characters that I think they deserve them. Some people write very, very flawed characters. 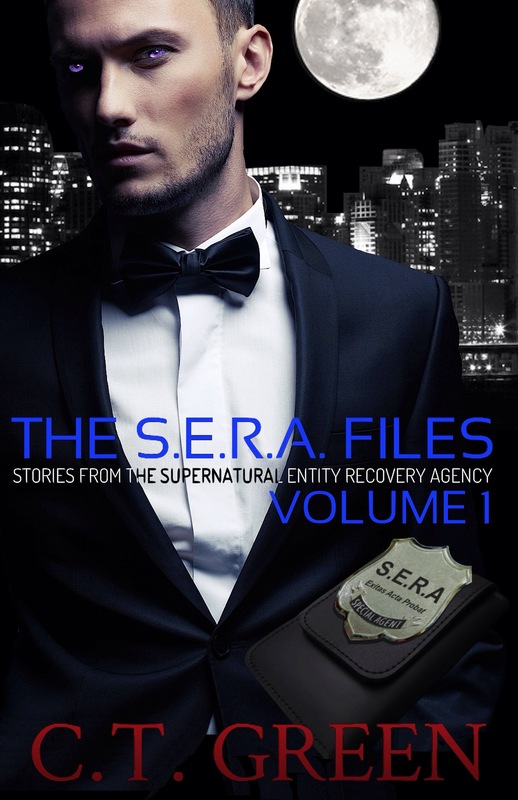 I had a friend who wrote a story where I wasn’t sure the hero deserved his happy ending. I couldn’t see past his predicament, I guess. I would have been content with that story if he hadn’t gotten his HEA. My characters are flawed, but not fatally. I don’t write philanderers or disloyal characters. My characters have good hearts, even if they’re flawed on the outside. Every one of my characters is redeemable, so I can forgive them their flaws and want them to have the happy ending that everyone (okay, most people) deserves. Thanks for the questions. Why don’t you go check out what Dani Jace has to say on the subject? Thursday Threads Welcomes RB Austin! 1. What is the weirdest question you have been asked about writing? Um, yeah, because I’m totally a 18th century Scottish laird. Totally. Um, no. I’m just me. No skeletons in this closet. And no, I’m not a stripper by night. Or by day. Or in any light. Ever. No one needs to see that. After two babies and four hernia surgeries, really, I’m feeling pretty daring if I walk out my door without Spanx on. No, seriously. 2. What was the most exciting thing about your writing career so far? But then, a few mornings later, I got an email offering me a contract. Actually, I was walking into work when I got it (because I’m addicted to my phone, I’ll admit). I sat down on the curb, right there at the school, and read the email four or five times before I actually believed it. But there are other days that are really exciting, too. Because I’m a relatively slow writer, I don’t publish really more than once a year. So every time I get a cover, I get super excited. My next cover is really something, and I’m super excited about it. This time, when I got my cover, I actually dropped my phone, because it was so awesome. These are good days, and wonderful surprises. 3. Do you get your story ideas from real life or real people? If not, where do they come from? If I were to ever write a contemporary, I might base it on a friend of mine and her dating (mis)adventures. She’s totally behind this endeavor, so that would be okay. But otherwise, no. I make these people up. See, when I write, I very rarely start with the characters. I devise a plot, and then the characters come forward to introduce themselves, like actors trying out for parts. Sometimes, the first character who shows up gets rejected for the main manuscript, because he or she doesn’t fit the story. Sometimes, the characters insist that they stay exactly as they are, if not tweaked for the worse. For instance, in The Marker, some of my original readers and judges from contests felt that Nicholas was unlikable, because he was drunk, a gambler, and he was willing to allow a remarkably unsavory wager. But every time I tried to change him, to show in those first few chapters that he had a good heart, he dug his heels in and got worse. He eventually let his good heart show, but not in the beginning. He was drunk, or hung over, in those. 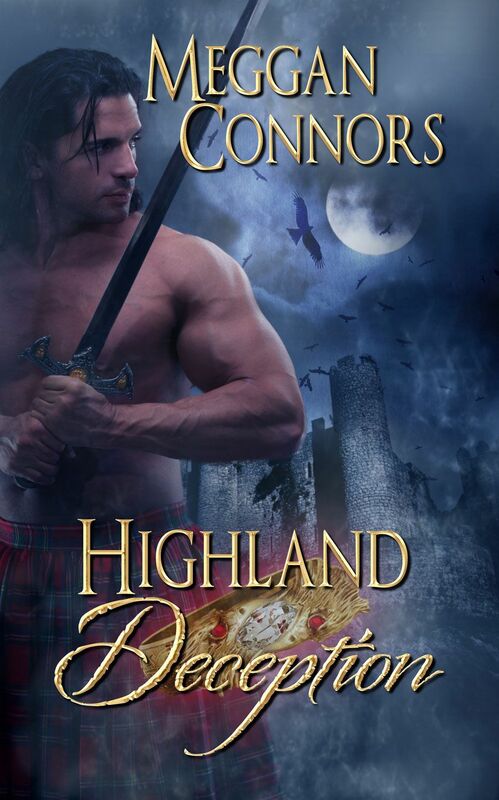 But in Highland Deception, I wanted my hero to be more hot-headed. I thought I wanted a fiery Scotsman, a fighter. You know, like traditional Highlander heroes. Yet, when I tried to write him that way, he insisted that that wasn’t his character. Given his history, he had learned to curb his temper, so while he could fight, that was never his first option. So while I thought I would be writing a brash, alpha male Scot, the character I wrote was a quieter, more contemplative version of the alpha male. He doesn’t act without thinking. Because if he did, he wouldn’t be alive. For more on these questions, follow the link to Leslie Hachtel! I’m excited to see her answers!